To combine two separate narratives into a single cohesive film is hard enough but to throw in a third is near impossible. Tom Ford, however, does this fairly well with Nocturnal Animals, taking the suspense to new heights in the chilling, neo-noir type thriller. The film ventures into so many different themes and ideas throughout its runtime, getting under your skin like you’d never believe. A successful Los Angeles art-gallery owner's (Amy Adams) idyllic life is marred by the constant traveling of her handsome second husband (Armie Hammer). While he is away, she is shaken by the arrival of a manuscript written by her first husband (Jake Gyllenhaal), who she has not seen in years. The manuscript tells the story of a teacher who finds a trip with his family turning into a nightmare. As Susan reads the book, it forces her to examine her past and confront some dark truths. 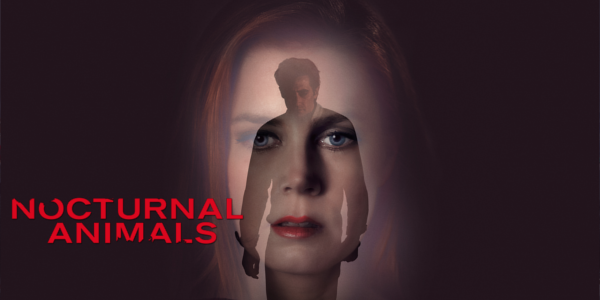 Like previously stated, Nocturnal Animals features three separate narratives entirely. It’s a basic story within a story, switching between the events of the novel and Susan’s emotions related to her life and the book. A third storyline comes into play as a flashback to the way Susan and her ex-husband, Edward, met and eventually fell apart. The movie interweaves and connects these stories well, placing minute details here and there that reveal more and more of the picture. The performances across the board are all solid at minimum with some even being award caliber if the academy isn’t off put by the dark themes. Gyllenhaal has been a tear recently and doesn’t disappoint here with essentially two different roles. Amy Adams again knocks it out of the park as the sorrowful Susan. If she isn’t nominated for this film or Arrival the Academy fell asleep at the wheel. But the most solid bet for nod from the cast here is Michael Shannon. As the Detective assigned to the case in the novel, he is twisted, cool, and natural in the role, as if it was specifically for him. The film is artfully crafted for a visual treat from start to finish. It’s far from an uplifting story, so the aesthetically pleasing outlook certainly helps the film remain watchable. It’s a credit to director Tom Ford and his ability to craft this world of a chilling Los Angeles and a barren wasteland in Texas. The artwork is also so key to the world presented here, dark and strange with little explanation, similar to the entire premise of the film. Overall, Nocturnal Animals is a abnormal and gloomy film that manages to intertwine three stories into one film. The performances are all great, with Shannon likely earning an Oscar nomination, possibly Adams as well. It’s visually pleasing and though the title Nocturnal Animals is a reference to the main character of Susan and her inability to sleep, you may find it harder to doze off after viewing this well crafted film. So what did you think of Nocturnal Animals? Have you seen it and what are your thoughts? Subscribe, share, comment below, and as always return to I Am Sam for weekly reviews and insight.